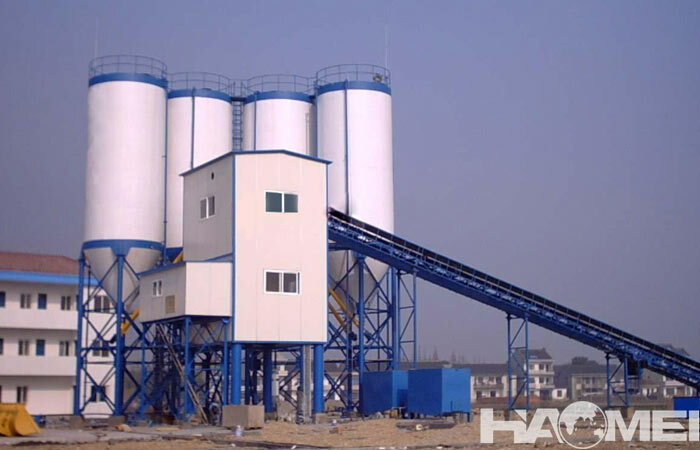 When speak of concrete batch plant for sale, we must refers to the new type of concrete batch plant which is more and more popular in recent years. 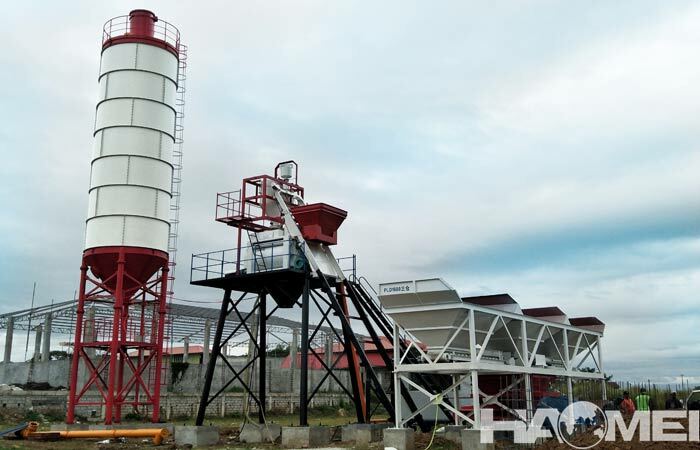 And among the new types, free-base type concrete batch plant stand out because of the convenient installation and transfer same as mobile concrete batch plant, as well as the low cost same as stationery concrete batch plant. 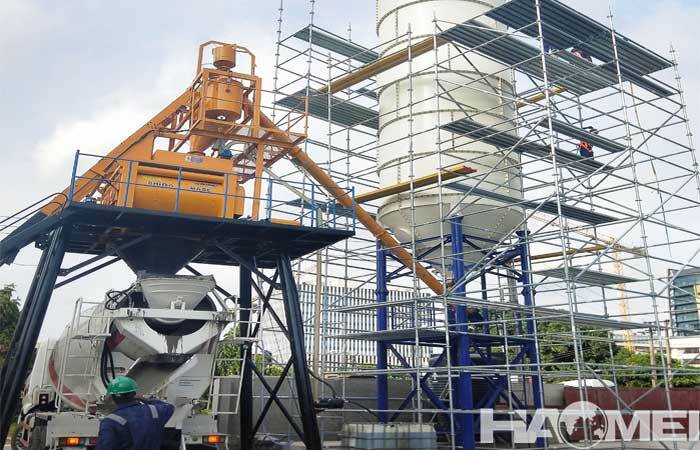 Detailed information about this kind of concrete batching plant is as follows. 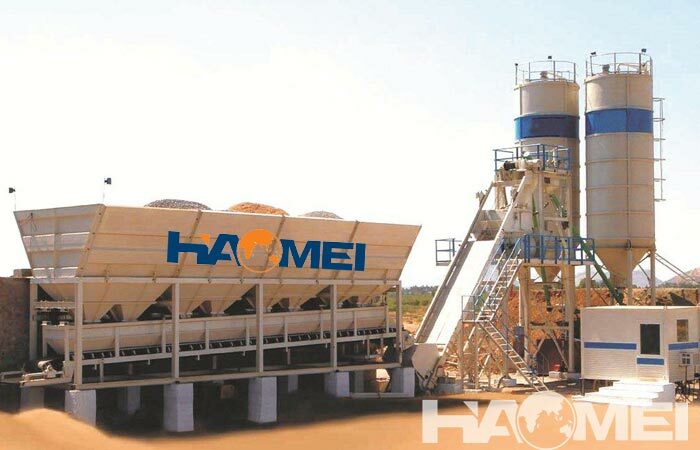 The new type of free-based export-type concrete batch plant for sale is composed of material supply and metering systems, mixing systems, electrical control systems, and pneumatic control systems. It is used for medium-scale construction projects of hydropower, roads, ports, airports, bridges or above, and medium-sized concrete pre-products plants and commercial concrete production plants. 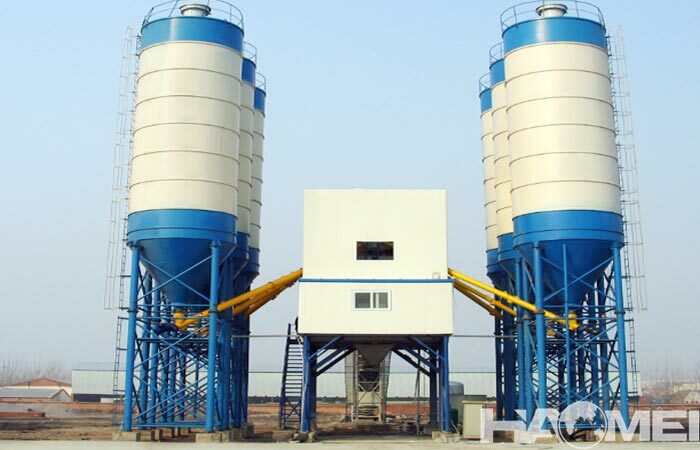 This kind of concrete batch plant can store three different aggregates at the same time. 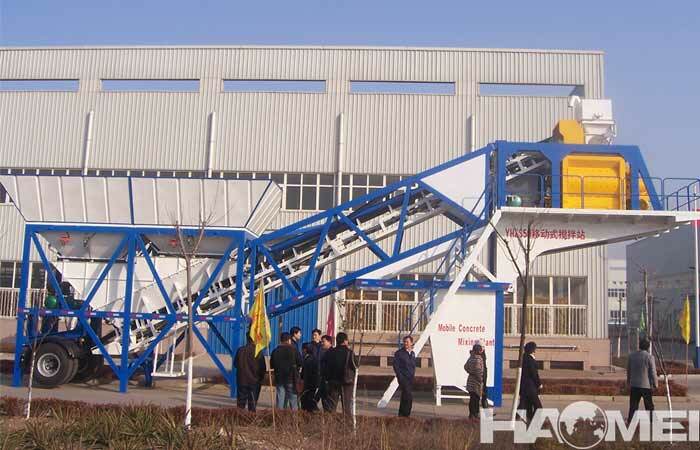 The loader can be used to feeding, two powder silos and corresponding screw conveyors can be equipped. Aggregate, water, admixtures and cement are all weighed electronically. The concrete mixers adopt twin horizontal shafts, which has the advantages of good mixing quality and high production efficiency. The electrical system is equipped with IPCs, printers, etc. The whole set of equipment is centrally controlled and managed as a whole. It has functions such as real-time display of production processes, information storage, automatic printing, automatic fall compensation and alarms for abnormal conditions. The production process control has two kinds of manual and automatic control methods, which can be conveniently converted by the switch. The series of concrete batch plant adopts modular design to facilitate equipment transfer and container transportation.